QUINTET 1 Apr 11, 2018 (2:32:27) Created by Sakuraba-san himself, the inaugural QUINTET event features former UFC heavyweight champion and PRIDE FC Grand Prix finalist Josh Barnett, PRIDE FC veteran Daisuke Nakamura, 2008 Olympic judo champion Satoshi Ishii, submission grappling stars Craig Jones, Marcos de Souzam and Gregor Gracie plus Japanese MMA standouts including former UFC title challenger Caol Uno. 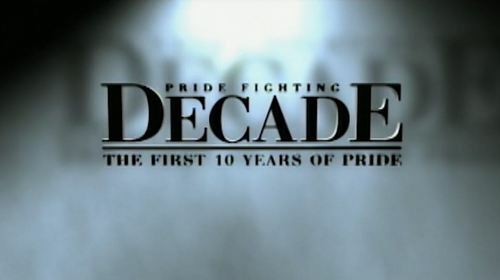 PRIDE Grand Prix 2000 Finals May 1, 2000 (5:09:32) One of the most famous events in MMA history! PRIDE Grand Prix 2000 Finals concluded this unforgettable tournament with the quarters, semis, and finals contested in one wild night of fights. 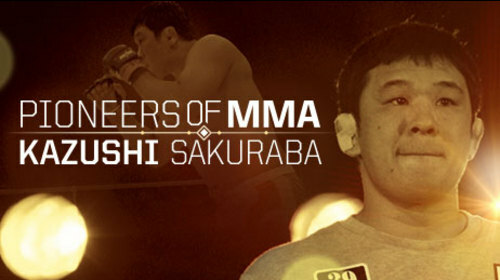 Including, the epic clash of Kazushi Sakuraba vs. Royce Gracie. PRIDE Total Elimination 2003 Aug 10, 2003 (2:29:30) PRIDE Total Elimination 2003 hosted the opening round of the Middleweight Grand Prix as well as 3 classic heavyweight collisions: “Minotauro” Nogueira vs. Ricco Rodriguez, Mirko “Cro Cop” vs. Igor Vovchanchyn, and Fedor Emelianenko vs. Gary Goodridge. Pioneers of MMA: Minotauro Nogueira Jan 6, 2016 (24:16) The only man to hold both the PRIDE FC and UFC heavyweight championship, Minotauro Nogueira was arguably the best BJJ practitioner in heavyweight history. 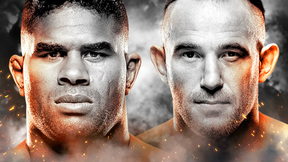 This FIGHT PASS Original is the definitive retrospective his Hall of Fame career. Pioneers of MMA: Renzo Gracie Mar 4, 2015 (19:56) Considered by the most complete fighter the legendary Gracie family ever produced, Renzo Gracie defeated five UFC champions during a career which straddled the no-holds barred and modern MMA eras. 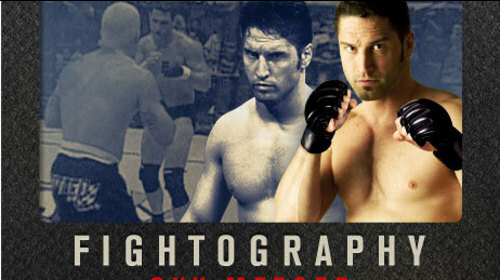 This FIGHT PASS original program is the definitive retrospective of a true MMA innovator. 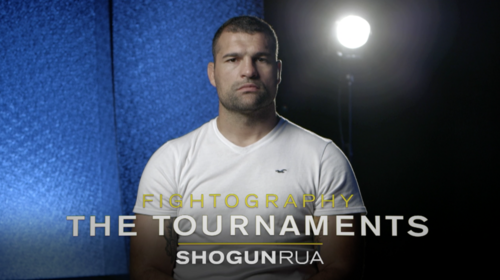 Fightography: The Tournaments - Shogun Rua Oct 11, 2016 (34:32) Mauricio “Shogun” Rua was a promising 8-1 striker when he entered the terrifying 16-man Middleweight Grand Prix tournament in the iconic PRIDE FC organization. With full access to Rua’s personal archive, this is the story of a 23-year-old who won arguably the greatest tournament in MMA history. Fightography: Guy Mezger Oct 20, 2015 (8:47) Although best remembered as one of Hall of Famer Ken Shamrock’s lieutenants in the famed Lion’s Den team, Guy Mezger was a formidable fighter in his own right. 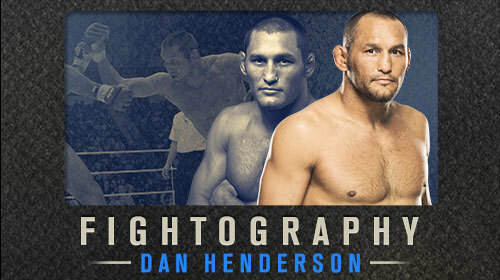 In this Fightography, Mezger details living a “rock star lifestyle” in Japan and the band of brothers who helped him win the UFC 13 lightweight tournament despite competing with a broken hand. Best of Pride Ep 104: Feat. Little Nog and Cro Cop Jan 29, 2010 (40:26) A. Rodrigo Nogueira vs. Dan Henderson, Igor Vovchanchyn vs. Francisco Bueno, Mirko Cro Cop vs. Ikuhisa Minowa, Ryan Gracie vs. Kazuhiro Hamanaka, and Mauricio Rua vs. Akira Shoji are featured in this episode of Best of Pride Fighting Championships. Best of Pride Ep 106: Feat. Big Nog and Cro Cop Feb 19, 2010 (40:26) Heath Herring vs.A. 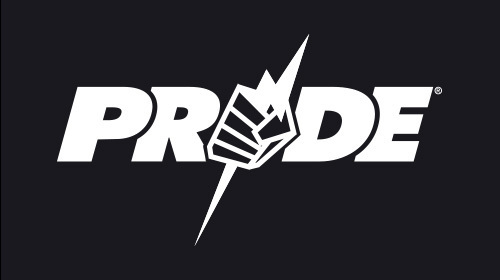 Rodrigo Nogueira, Wanderlei Silva vs. Yuki Kondo, Mirko Cro Cop vs. Ron Waterman, Sergei Kharitonov vs. Pedro Rizzo are freature in this episode of Best of Pride. 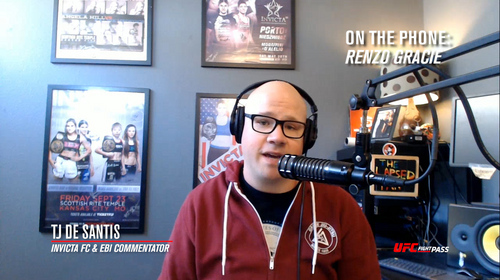 PRIDE Never Die: TJ De Santis & Renzo Gracie Apr 13, 2018 (18:43) TJ De Santis is joined by the legendary Renzo Gracie to discuss all things PRIDE as part of PRIDE Never Die week on UFC FIGHT PASS.